Vladimir Stankovic, an artist based in Sydney, Australia. His artwork, drawn in inspiration from natural sciences, fairy tales, fantasy, and mystery, is a little creepy, yet cute. 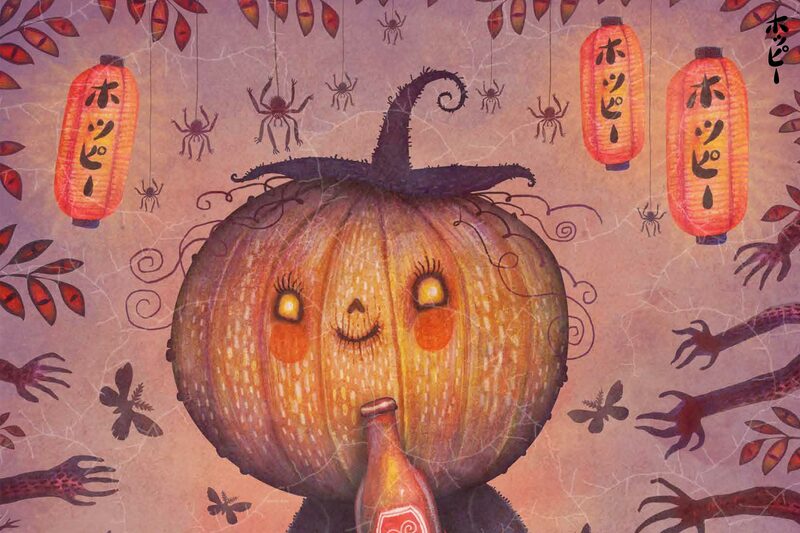 In the current work, it expresses the unique world view of Halloween, which has become a standard annual event in Japan as well. 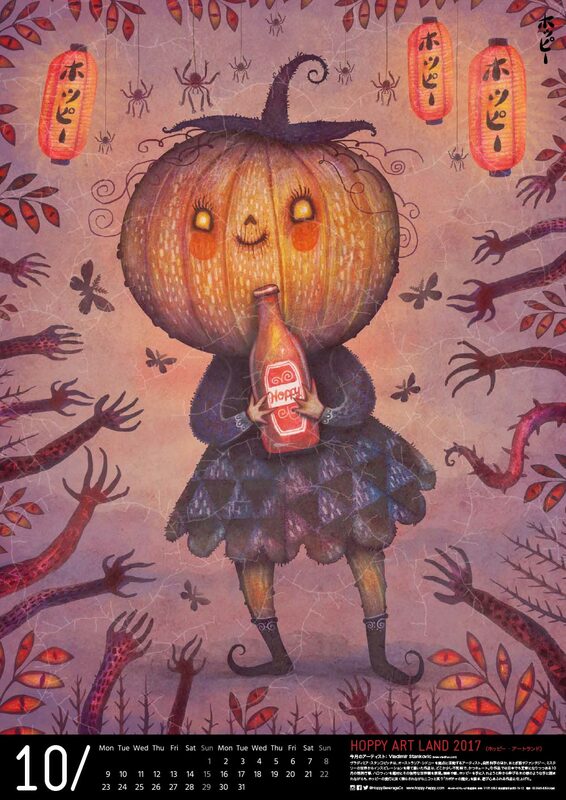 The artwork features a grinning witch with a pumpkin head, and hands trying to catch spiders, moths, and a bottle of Hoppy, while being illuminated by Hoppy lanterns.